Ugo Colombo recently sat down with Orlando Montiel for the Miami Real Estate Show to discuss some of his professional accomplishments, his pioneering role in the Miami landscape, the future of the Miami real estate market, how technology influences development, and more. Ugo Colombo played a pioneering role in developing some of the most luxurious buildings in Miami including Bristol Tower, The Santa Maria, Grovenor House, Porto Vita, Epic Residences & Hotel, and Brickell Flatiron. The future of the Miami Real Estate market. This entry was posted in News and tagged Miami real estate, Miami Real Estate Show, Orlando Montiel, Ugo Colombo on September 20, 2015 by Ugo Colombo. High-rise buildings began in Miami with the 1925 completion of the 255-foot Freedom Tower. 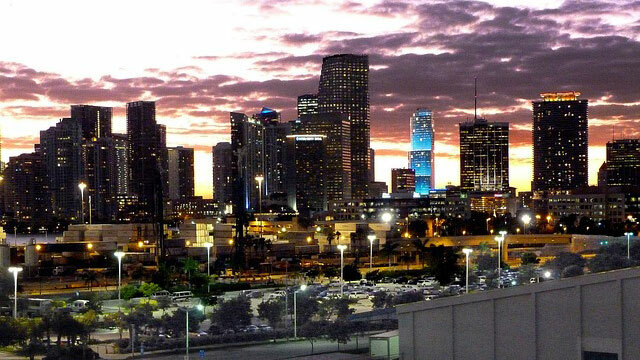 From the mid-1990s through the late 2000s, Miami experienced the largest building boom in the city’s history. As a result, only two of the city’s 25 tallest buildings were completed before the year 2000, and Miami has one of largest skylines in the United States. The boom, of course, ended in 2008 when the real estate market crashed, but now a new wave of high-rise development is beginning to gain momentum. Ugo Colombo’s Brickell Flatiron is a substantial part of this new growth. The 64-story glass skyscraper is now in its’ final planning stages with roughly 40 percent of units under contract. Construction is scheduled to start by year-end on the project, which is slated to have 548 condos with wide, curving terraces, and 35,000 square feet of ground-floor restaurant and retail space. Ugo Colombo is intent on making more history in South Florida with his Brickell Flatiron and Miami is welcoming this new chapter in their history. This entry was posted in News and tagged Brickell Flatiron, history of high rises, Miami growth, Miami real estate, Ugo Colombo on September 7, 2015 by Ugo Colombo.